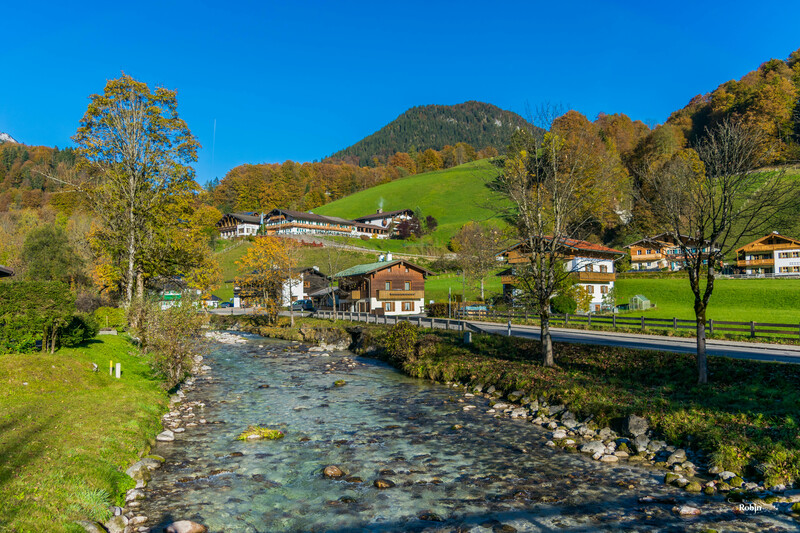 Experience the best of Inn Valley – but not in Innsbruck!! It is 02:00 am on a cold October night. I am waiting for a train; a train that will take me far away. I know where I hope this train will take me, but I don’t know for sure. But it doesn’t matter. How can it not matter to me where this train will take me? A cold breeze swept across the desolate railway platform and brought me out of my limbo. It had probably been 15 minutes since I had sat down on a corner bench at Freilassing Bahnhof, having walked around the station twice to try and find a waiting room of any sort. 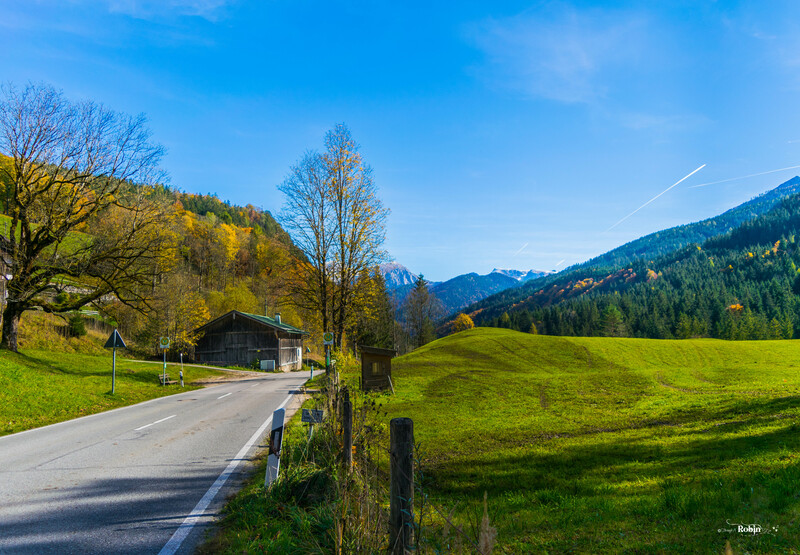 This was my first time backpacking in Europe and as typical of me I had done absolutely no research before picking up my backpack and rushing towards a place I had been wanting to visit for so long – the breath-taking vistas of Berchtesgaden National Park near south-east Bavarian border with Austria. Having always heard about the developed infrastructure of western European countries, I had taken for granted the presence of a waiting room of sorts on railway platforms. However, in haste of booking the most budget itinerary I could find from Stuttgart to Berchtesgaden, I forgot to realize Freilassing was but a very small municipality of around 16000 inhabitants. So while a layover of 3-4 hours did not look a lot, I completely overlooked the fact that it was at such odd hours at night, that too in a small town!! I looked around one more time to see if I could find some semblance of life anywhere around me but to no avail, although I could see the rooftops around what seemed like the town center near station exit at the opposite end. Since braving the wind while sitting in the open was yielding no tangible rewards, walking around seemed to me a better option to keep the body generate some heat to brave the low temperature; hoping against hope to find an enclosed walkway of some kind and take some shelter from the cold winds. Street dogs were not a problem in Germany as in India – of that I was entirely sure, so an encounter with law enforcement officers was my only cause of concern while I walked towards the town square. 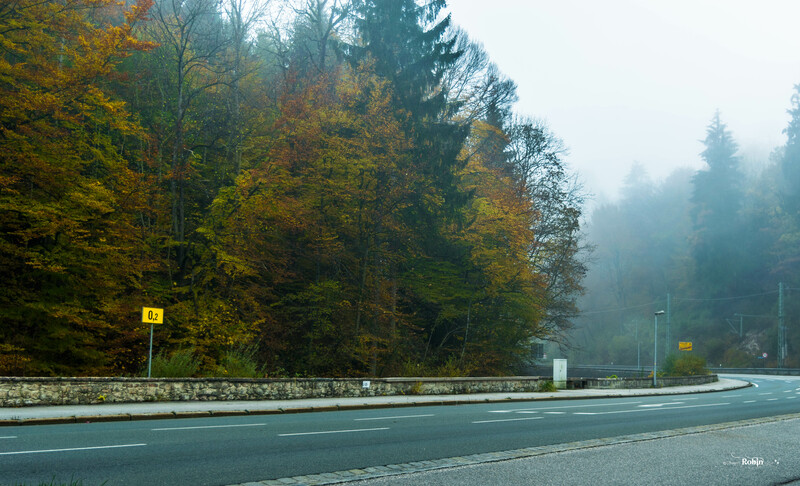 Sometimes seen as a suburb of Austrian city of Salzburg, which lies just across the border, Freilassing is a beautiful small town and a usual junction for changing train lines running deep into the small rural landscapes along border areas in Germany. While I am pretty sure this small town would be a treat to walk across in the light of the day, it still maintained its touch of elegance and beauty in the light of the moon in the night sky. I wandered aimlessly across the town center before the sight of a police car turning into a street at a distance forced me to turn towards a lane to my right – being stopped and questioned for walking aimlessly in a town at this time of the night was an uncomfortable situation that I wanted to stay away from. I had hardly walked a few steps into the street when I was drawn to a small sound between the shops to my right. Dressed in a white shirt was the outline of a bald guy quietly disposing some garbage into the cans. Pleasantly surprised at finally meeting somebody to ask for help from, I took a few steps towards him as he skeptically saw me from the corner of his eyes. “Oh…Hallo!! Ya, I speak English. How are you?”, he raised his eyebrows a bit before answering. A divine intervention!!! Of course, it was OK beyond my wildest of dreams. The calmness and respite evident on my face was acknowledgement enough. As I stepped inside his shop I was greeted by an ambiance I was not entirely familiar with, but I had listened to quite a few independent musicians from the Middle Eastern countries to recognize the striking tunes of Arabic-influenced music playing softly in the shop. Dim lights illuminated 2 slot machines chiming in a corner. The old guy had a small conversation with the younger guy on the slot machine, before returning to the kitchen table. “He is my son. He works in Munich….comes here on weekends to see me. His big brother was here a short while ago – probably gone to meet someone. Now, would you like to have a Parmesan Pizza? I make my own bread….it is really good. See, I already sold everything! !” , he said with a smile on his face, as he started working on the last bit of dough. “Yes…that would be great! !”, I gleefully replied. “You are from India?”, he asked while spreading the cheese on the flattened base. “Yes….how did you know?”, I asked with a little amazement. “I just made a guess. You looked like you come from India or Pakistan. I am from Turkei….have been living here for more than 20 years now”, he replied. Now the music connection was complete!! I had an intuition about the place being Turkish. I knew Germany has a substantial Turkish immigrant population, which is spread across the regions. Turks were generally well-received and well-accepted by native German population when they first came to Deutschland. During the economic boom of 1960s and 70s, Turks formed a large proportion of the blue-collared working class which drove Germany’s engine of growth and prosperity. Even though employed on temporary basis, most of them stayed back and settled in Germany itself. Unfortunately, there are different theories regarding the extent of acceptance of Turkish population in the German society, more so after the recent migrant crisis, but then I did not wanted to get into a political discussion with him to understand his side of the story at that ungodly hour of the day. So I just gave him a smile, and looked at my watch. The interiors were beautiful and simple to look at. A slot machine had symbols raining down the screen and I probably spend a good 15 minutes just watching them – the simple joys of an idle evening!! Soon my pizza was ready and I had only one thing in my mind at that point of time: to eat it as slowly as I could…for I had a lot of time to kill!! What ensued was a small talk about life in that small town, the weather and places to see around the region. His elder son had returned with another elderly man and the four of them sat around the slot machine talking and laughing away in their native language. All I was left to do in the solitude was to eat, eat and eat. As slow as I could be, it was not beyond 3:30 that I could prolong eating that small pizza. And no sooner had I finished than the man cleared the table, cleaned the plate and turned the kitchen light off. “No, thank you. Well….do you mind if I rest here for some time?”, I decided to try my luck. That was cold!! But then, I was walking on a thin line anyway. At least food was not a concern now. I bade farewell to the people in the shop and stepped out of the door, the familiar chill welcoming me all over again!! With my last hope of a shelter abandoning me, I decided to head back towards the station. It was then that I found myself in a tough spot – to find a way to negotiate another 2 hours left at my disposal. I had seen a small covered section with 2 benches at the entrance of the station – that was to be my waiting room till my train arrived. I knew I could land up in trouble with the cops, but that was an unavoidable consequence of an ill-planned trip!! I tried to sleep but that was just not happening in a cold autumn night. My jacket barely managed to keep me a little warm. It was only with the sound of the birds in the sky at 05:00 am that I got up from the bench and started moving towards the platform. Thanks to Uncle Murphy, it was not long before I finally ran into 2 cops who were on patrol on the platform. Given the migrant crisis developing around the Austrian-German border, they were more than eager to thoroughly scrutinize my Passport. A good hard look at the VISA photograph, some generic questions about my nature of travel and some more scrutiny of VISA of other countries on my passport finally convinced them and I was left on my own. A temporary respite from my misery – finally the first train arrived for the morning!! The last night was probably taking the budget traveling thing way too far…but then sometimes you learn from other’s experiences, sometimes from your very own. The darkness slowly descended and the first lights of the morning started throwing silhouettes against a misty gray backdrop. As the Regional Bahn meandered its way across the mountains, the fabled Alpine meadows and grasslands – dotted with an odd tree or a cottage; started filling up the landscape. Words cannot describe the mystical land I was traveling through – a thick blanket of fog enveloping the entire landscape; forcing the sunlight to pierce the smoky fabric and riddle it with golden streams at multiple places. I don’t remember taking my face away from the window pane….and in moments like these you just don’t want to fiddle with your camera – lest you miss the moment!! Hi man, what’s an amazing experience haha ! How are you ? "A human being should be able to change a diaper, plan an invasion, butcher a hog, Conn a ship, design a building, write a sonnet, balance accounts, build a wall, set a bone, comfort the dying, take orders, give orders, cooperate, act alone, solve equations, analyze a new problem, pitch manure, program a computer, cook a tasty meal, fight efficiently, die gallantly. Specialization is for insects." -Robert Heinlein This Robin is everything but a specialist…..he is a jack of many trades but a master of one – he somehow knows how not to stay stagnant!! He is a computer Engineer by qualification but designing the electronics, which goes under the hood of the famous “3-pointed star” of Mercedes Benz, by profession. He has a regular day job like millions of people, but still lives his dream out there on the stage – with a guitar in his hands. On many-a-days he pursues his dream behind the recording console, composing and engineering music which reflects his identity. He is a Gooner, spending his weekends with the Arsenal badge on his chest, feeling the Red spirit dominate his conscious for those 90 minutes every week. Robin is everything but a specialist!! He is obedient – obedient enough to quietly follow where destiny leads him to. No questions asked, no grudges vented out…just absorbing everything encountered on the way. He accidently discovered the joy of travelling, and found out the exciting world behind the lens of a Nikon, through one of these journeys. He cherished that familiar feeling of joy and belonging, of love and friendship, written across those unfamiliar faces. And now this Robin yearns to fly, wants to experience the joy in all those emotions igniting the passions everywhere. He likes to share his world, and speak his mind, with everyone around – through his songs, his music, his fellowships and associations. He thrives on criticisms, and yearns for the love, affection, support and appreciation – which can uplift his spirits and can propel him even further on his flight. A free flying spirit, making small windows for myself to get a peek around the walls of a regular life, is who I am. Robin – is what people closest to me know me as!! !